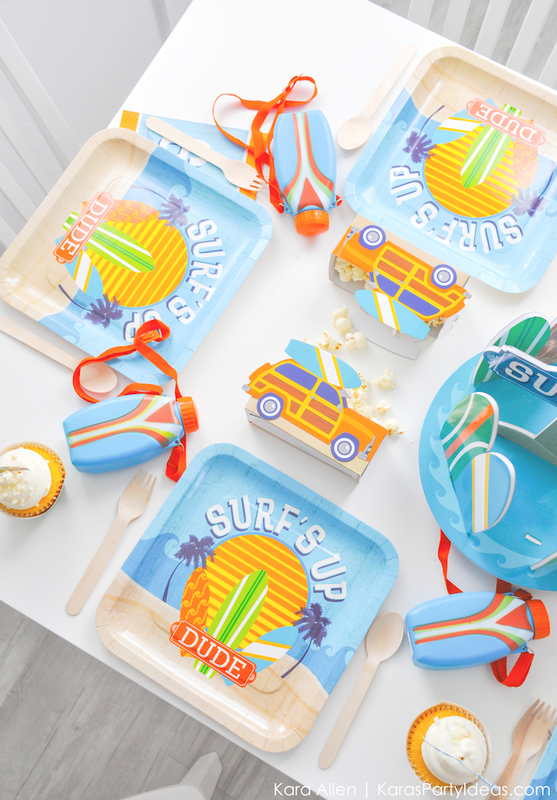 Surf’s Up Themed Birthday Party with Kara’s Party Ideas and Oriental Trading! 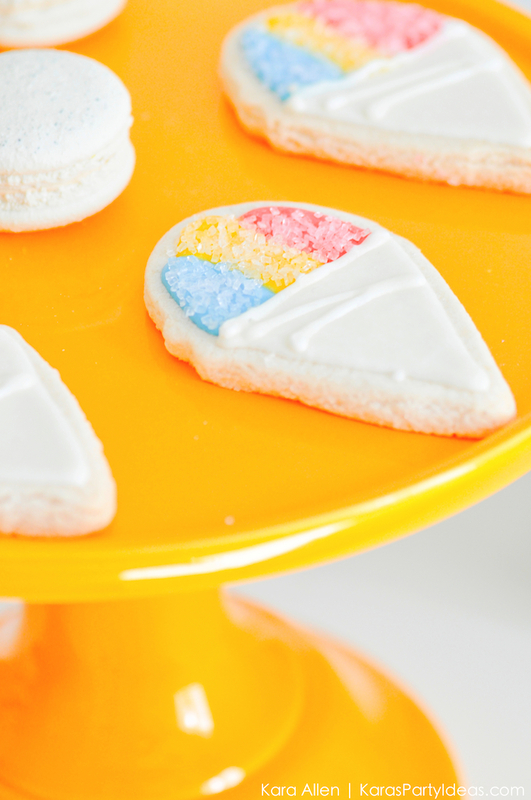 Planning a summer party? 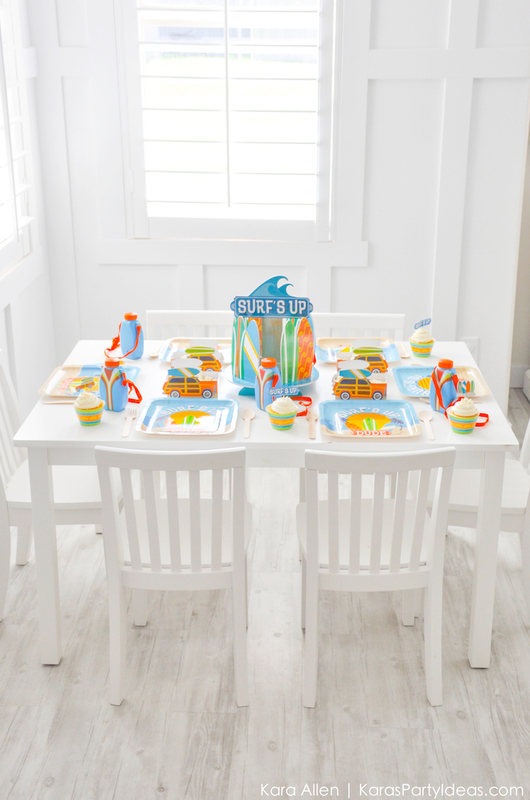 Check out the SURF’S UP THEMED BIRTHDAY PARTY I recently styled in partnership with Oriental Trading! 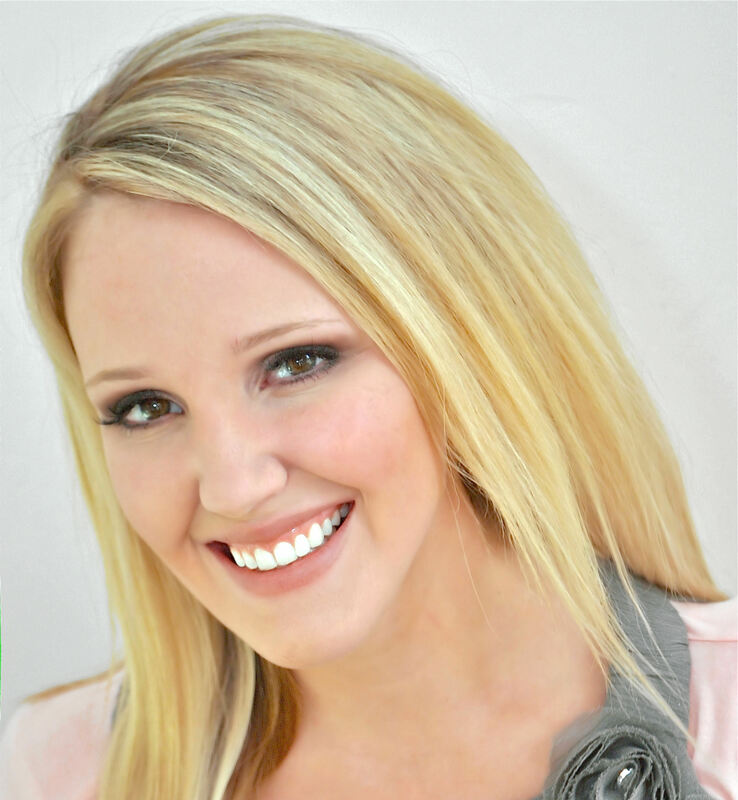 The bright color scheme of lime green, turquoise, orange, and yellow really makes this party pop. 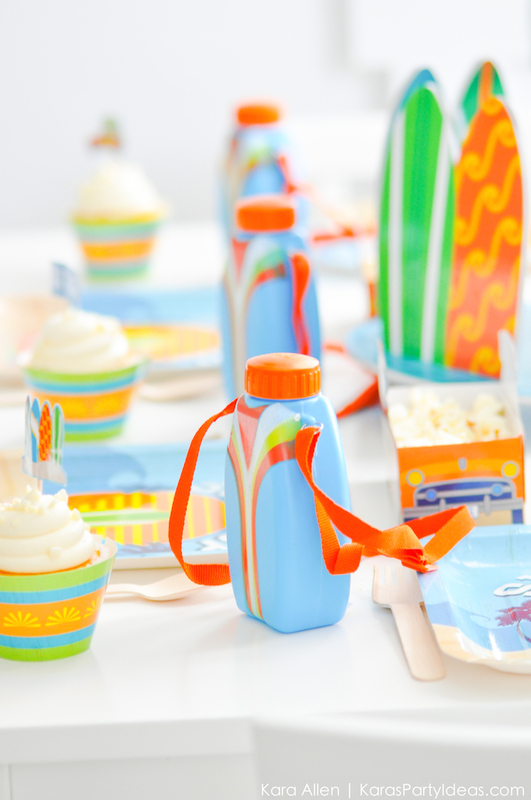 And I love all the modern surf’s up party products! 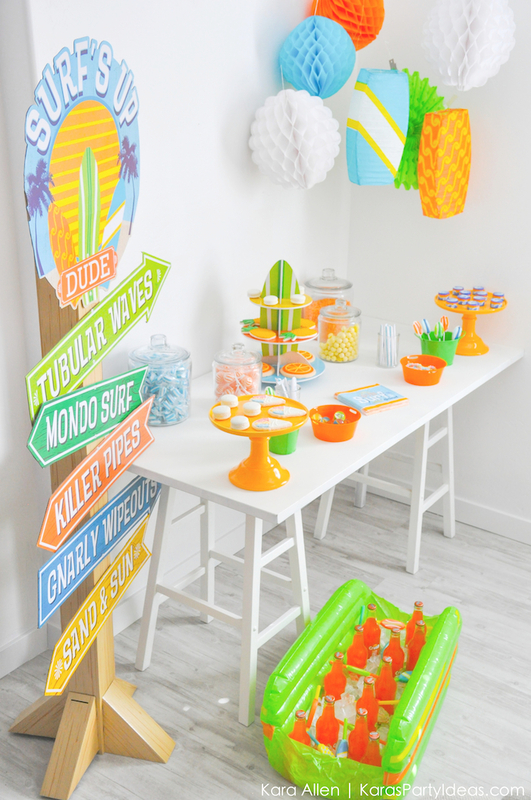 See the entire party (tons more photos) and all the details, including a yummy summer recipe to go along with the party, on the Oriental Trading Blog! Don’t miss out, see the entire party (tons more photos) and all the details on the Oriental Trading Blog! 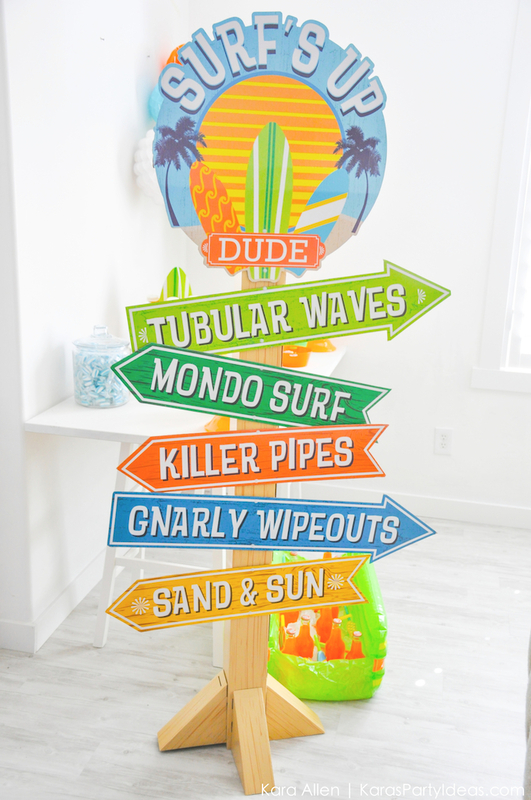 When you are done seeing the whole party at Oriental Trading, check out this Rustic Beach Ball Birthday Party!